Archaeologists working at a pyramid complex south of Cairo have discovered dozens of cat mummies, along with troves of wooden statues and a rare collection of mummified scarab beetles. 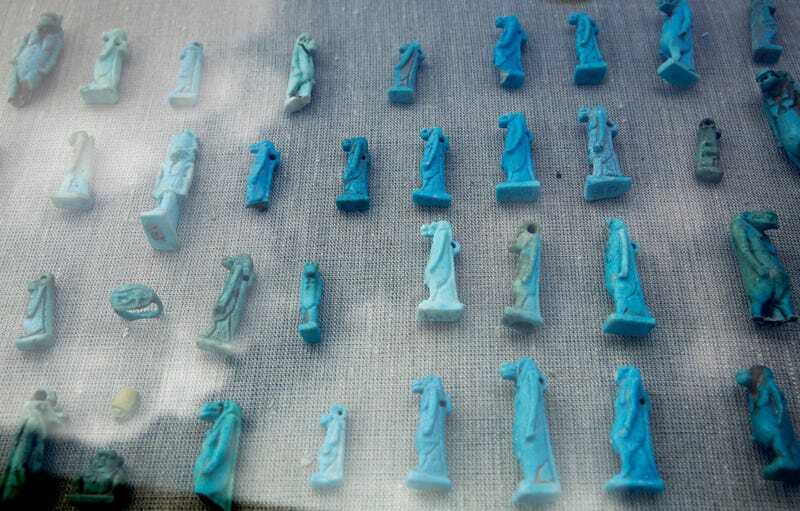 The secretary general of Egypt’s Supreme Council of Antiquities, Mostafa Waziri, shared details of the remarkable finding at a press conference held this past Saturday, the Irish Times reports. Waziri said a team of Egyptian archaeologists made the discovery at the Userkaf Pyramid complex in Saqqara, just south of Cairo, which they’ve been investigating since April. In all, seven Pharaonic Age tombs were discovered – three dating back to the New Kingdom (1550 BC to 1077 BC) and four dating back to the Old Kingdom (2686 BC to 2181 BC) of Ancient Egypt. Saqqara was once the Necropolis (or cemetery) of Memphis, the capital city of Egypt for more than 2,000 years. Antiquities minister Khaled el-Enany told reporters that three of the tombs were used for cats, as the Guardian reports. Among the many findings, the Ministry announced the discovery of dozens of mummified cats and several scarab beetles, the latter of which are now the first to be found at Saqqara, the ministry officials said. Ancient Egyptians often mummified the remains of these animals, placing them in graves as funeral offerings. Painted sarcophagi for cobras and crocodiles were also uncovered. The cat mummies were wrapped in linen, with some still exhibiting hand-painted features on their exteriors. Two large scarab beetles were found inside a tiny limestone sarcophagus placed within a larger sarcophagus, while another batch was found inside a smaller sarcophagus. 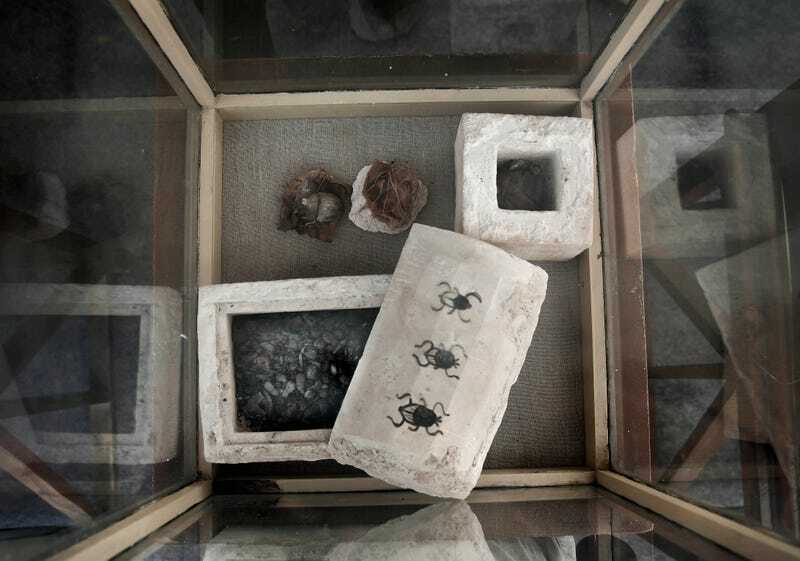 The small coffin containing the beetles featured a lid decorated with drawings of the scarabs painted in black, said Waziri. The graves also contained amulets, canopic jars, writing tools, papyri baskets, ropes, and over 100 small wooden animals statues. 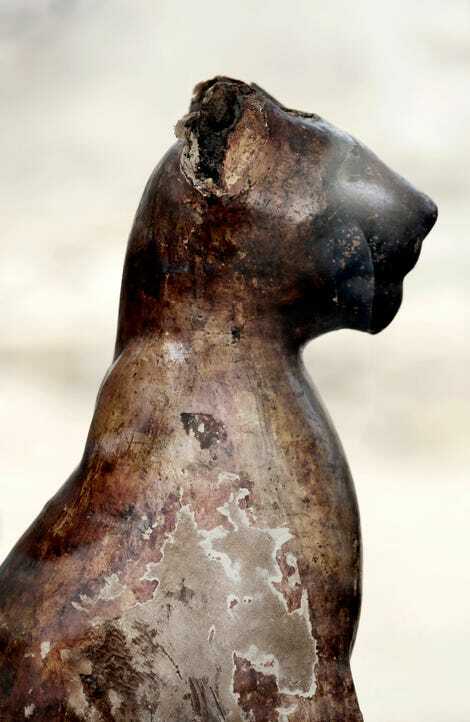 A bronze statue dedicated to the feline goddess Bastet was also uncovered. Other wooden statues included representations of a lion, cow, and falcon.